I'm from Vegas and I have absolutely nothing planned yet, not even a date or a budget. My fiance and I want a summer 2012 wedding at Big Bear if budgeting/saving and timing work out together. Any suggestions are appreciated. So far I think we're considering renting an estate/mansion with acreage to set up a party tent. If we go that route, we'll need a good coordinator, party rentals, caterer, etc. Not sure what else to say since I am new. Looking forward to chatting with everyone. Hello and welcome to the board! Unfortunately, this board is really slow and the IE is really big! There aren't any girls on here getting married in Big Bear. However, because the IE is so big most vendors travel and expect to travel. If you go a post or two down you will find a post about caterers. There were a few mentioned so check and see if either of those travel to BB. 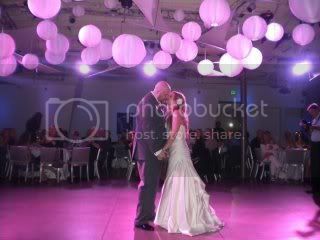 You can also check out www.weddingwire.com or www.projectwedding.com. Both sites have TONS of vendors and vendor reviews. Just plug in the city or zip and surrounding vendors will come up. I've actually found a few of my vendors from those sites. You can actually go to Mountain Lakes wedding association online and the site will give you many different options. Actually I'm getting married in Big Bear in January 2012. You may want to look at Gold Mountain Manor. It is a really pretty bed and breakfast that you can rent out for the weekend for your wedding. The lady who owns it is super nice. and they have a nice courtyard area for the wedding and reception. Good luck with everything! !